Started second, finished fourth and collected seven bonus points. Harvick fell to seventh and said the car was loose. On lap 25, Harvick was 11thand said the car was tight in turn two. Harvick pitted on lap 28 for four tires, fuel and a chassis adjustment. On lap 57, Harvick pitted for four tires and fuel. Started third, finished sixth and collected five bonus points. Harvick, who was seventh, said his car was still tight in turn two. On lap 91 Harvick pitted for four tires, fuel and a chassis adjustment. He was in seventh. On lap 123, Harvick pitted for four tires, fuel and a chassis adjustment. The No. 4 Jimmy John’s Ford Mustang pitted on lap 161 for four tires, fuel and chassis adjustment. Harvick pitted again on lap 166 under caution for four tires and fuel. The No. 4 Jimmy John’s Ford Mustang came home in the fourth position. 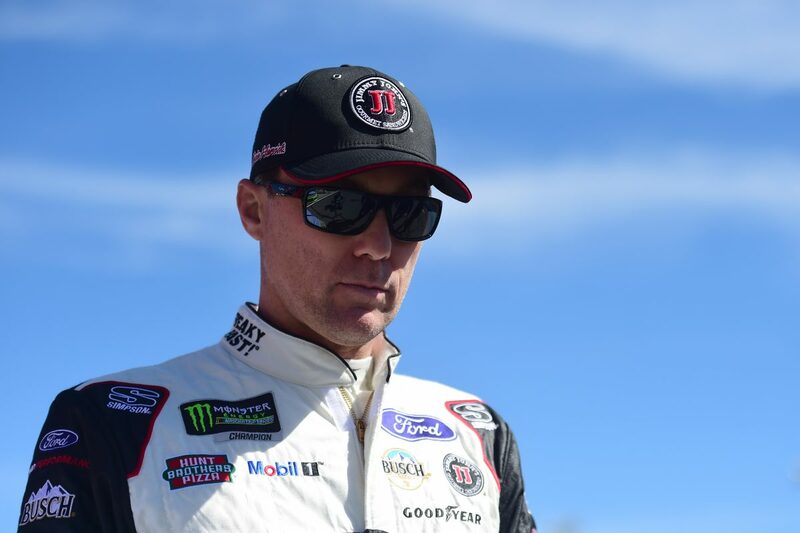 Harvick earned his third top-five and fourth top-10 of the season, and his seventh top-five and 12thtop-10 in 26 career Monster Energy NASCAR Cup Series starts at Auto Club Speedway. Harvick finished fourth in Stage 1 to earn seven bonus points and sixth in Stage 2 to earn an additional five bonus points. Kyle Busch won the Auto Club 400 to score his 53rdcareer Monster Energy NASCAR Cup Series victory, his second of the season and his fourth at Auto Club Speedway. His margin of victory over second-place Joey Logano was 2.354 seconds. This was Busch’s milestone 200thvictory across the Monster Energy NASCAR Cup Series (53 wins), Xfinity Series (94 wins) and Gander Outdoors Truck Series (53 wins). Twenty-one of the 38 drivers in the Auto Club 400 finished on the lead lap. Busch leaves Auto Club Speedway as the championship leader with a 15-point advantage over second-place Logano.